Bill Humphrey’s campaign has concluded. Site operations and the radio show will resume some time this month (September 2016). Thank you for your patience. A guest essay by Georgia. Republished with permission. When 9/11 happened I was nine. Our parents told us what had happened but nobody bothered to explain it in terms a child could understand. We knew that some people flew a plane into a building, we knew that lots of people in a place called New York had died, and that was bad, and we knew that it had something to do with a place called Afghanistan. Nobody tried to explain that terrorism’s main goal is to spread fear among the people beyond the immediate victims of the attack, that it hopes to provoke a backlash so severe from the attacked society and government that more sympathy is generated for the terrorist’s cause. Nobody tried to explain what Islam was, what an Arab was, what a Pashtun was. Nobody tried to explain how an entire people are not responsible for the acts of their government, or the acts of a small group of people within their borders. And nobody tried to explain that terrorism has no religion, that the hijackers had as much claim to the Qur’an as the KKK has to the crosses they set on fire. I really think I could have comprehended all that at age nine, if someone had tried to find the words to explain it to me. The adults in our lives failed us morally at that moment. We absorbed the racism and fear that was filtering down to us in an odd distorted form from the media, from the things we overheard grown-ups saying. We became mini-jingoists, parroting words we didn’t understand, and not one person, not even in the bluest of blue states, Massachusetts, had the moral courage to set us straight. I remember a friend of mine saying that when he grew up he wanted to “blow up Afghanistan,” and my father making an uncomfortable face and sort of dithering before delivering a lukewarm disapproval and changing the subject. I believe that my generation’s soul still bears the marks of that moral failing, and the world is a much worse place because of it. Now I am an adult, and there are a lot of children in my life who are around the same age as I was back in 2001. I don’t know how much they will be hearing about what has happened in Paris, and I don’t know exactly how I am going to respond to the questions they have. But I do know that I am going to go into school on Monday with a determination not to repeat the silence, the cowardice, the atavistic nationalism that failed my generation. I would ask that my friends, especially those who interact with children, but even those who do not, make a conscious choice to spread love and understanding this week. Educate yourself with the facts, assuage the fears of those around you, stand up to racism, and do not be silent. Let’s get it right this time. Editor’s Note: On October 19, 2015, Canadians voted all across their country to elect a new parliament. 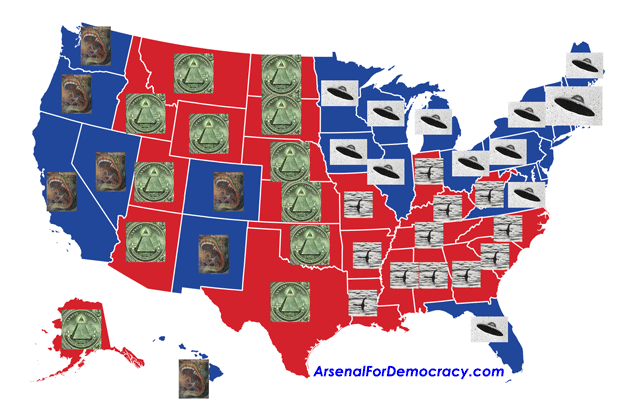 There were three major parties contesting the election everywhere and a couple minor parties. After the last federal parliamentary elections (in 2011), the Conservatives held a majority, the social-democratic New Democratic Party (NDP) were the second-place party (heading the opposition for the first time), and the centrist Liberal Party finished third. At the start of this year’s election, the NDP had a large lead in the polls seemed poised to form a government for the first time in Canada’s history. As the campaign progressed, however, the NDP’s support collapsed and voters instead chose to elect a Liberal Party majority to parliament. This majority will be led by Justin Trudeau, the son of former longtime prime minister Pierre Trudeau, who led the party from 1968 to 1984. The Conservatives finished second. The NDP finished a distant third. Below, guest contributor and NDP supporter Adam Chaikof presents the two major lessons he drew from the NDP’s unsuccessful campaign to lead the federal government for the first time in party history. Lesson 1: Don’t treat balanced budgets like a sacred cow (especially during economic downturns). It certainly goes without saying that one of the most common right-wing retorts to any suggestion of expanding the welfare state or investing in jobs or infrastructure is that such measures are too costly and will only increase the national debt and deficit. Besides the obvious ideological reasons, the Right constantly employs this line of attack because voters easily understand it. After all, many voters reason, if we have to live within our means, why shouldn’t the government do the same? Within this framing, beyond completely rejecting the Left’s core principles, left-wing parties can respond to these accusations in one of two ways: they can either try to convince the electorate that they’re actually better at balancing the budget than the Right, or they can argue that running a short-term deficit isn’t harmful and is necessary to stimulate the economy. In other words, the Left can either try to win the debate on balanced budgets on the Right’s terms, or they can try to reset the debate’s terms altogether. During this most recent election in Canada, the NDP chose the former route, while the Liberals chose the latter. The NDP chose this strategy for two reasons. First, NDP provincial governments actually have better fiscal records on average than both Liberal and Conservative ones despite spending more on economic and social programs. Unfortunately, there is one notable – and very noticeable – exception to the NDP’s fiscal record: Bob Rae’s provincial government in Ontario from 1990 to 1995. Rae’s early 90s legacy still haunts the NDP in the electorally vital province of Ontario. This is the root cause of the second reason for the NDP’s strategy of campaigning on fiscal responsibility. Rae’s record is still hotly debated – and he actually has long since defected from the NDP to the Liberals – but the most commonly accepted narrative is this: After leading the NDP to its first ever victory in Ontario in 1990, Rae unsuccessfully tried to spend Ontario’s way out of a recession and was then forced to implement austerity measures after exploding the province’s deficit. Whether you accept this narrative or not, it’s undeniable that Rae’s poor economic record has been like a millstone around the NDP’s neck in Ontario at both the federal and provincial levels for the past 20 years. Ontario sends the most federal MPs to Parliament. In other words, eager to convince voters of its fiscal credibility and finally excise the ghost of the Rae Provincial Government, the NDP made maintaining a balanced budget one its main campaign planks. This decision, however, had serious repercussions for the NDP. Many voters simply didn’t believe that the NDP’s proposals for raising revenue (e.g. raising corporate taxes by 2%, closing tax loopholes, etc.) would be enough to pay for its other spending promises. These included universal childcare and pharmacare, a national housing and transit strategy, reversing Harper’s cuts to health care and pensions, a national cap-and-trade system, and new investments in clean energy and manufacturing. Guest essay by Heather R. Andrews: Broken promises as a prepaid debit card pitched, with hip-hop cred, to poor consumers breaks down. Def Jam co-founder and RushCard promoter Russell Simmons. October 12th, 2015 marked the beginning of what can only be described as a nightmare for customers of a prepaid debit card service called “RushCard,” which has been heavily promoted by early hip-hop mogul Russell “Uncle Rush” Simmons. Customers often arrange for their paychecks to be deposited directly to the card accounts. Now, due to a “software upgrade in the transaction processing system” – also described as a “glitch” or a “conversion” – customers have been experiencing a $0 balance on their cards or had no access to their funds. For many of this particular card’s customers, being locked out of their account for days means they are not able to pay bills or buy essentials such as diapers, medicine, or food. Some customers are left with no other options and have resorted to crowdfunding. Slowly the story has been percolating into mainstream media, but only minimally and very late. Lack of coverage, along with form letter style responses from Russell Simmons and RushCard employees, have only added to customers’ desperate frustration. Customers have been instructed to send Simmons himself direct messages via Twitter to resolve their issues. Many customers created Twitter accounts to voice their concerns, receive assistance from any source available, and to DM Russell Simmons — as directed. I have been tracking and boosting these messages for several days on Twitter. Card holders are tweeting about late fees, repossessions, utility disconnections. Along with the stories came pleas for Russell Simmons to do something. As of yet, no one is reporting that they have been assisted by Simmons or anyone on his team. As of yesterday, on day 9, customers were still waiting for Russell Simmons to fix those problems. Meanwhile, those funds remained unavailable for immediate use on bills and necessities. 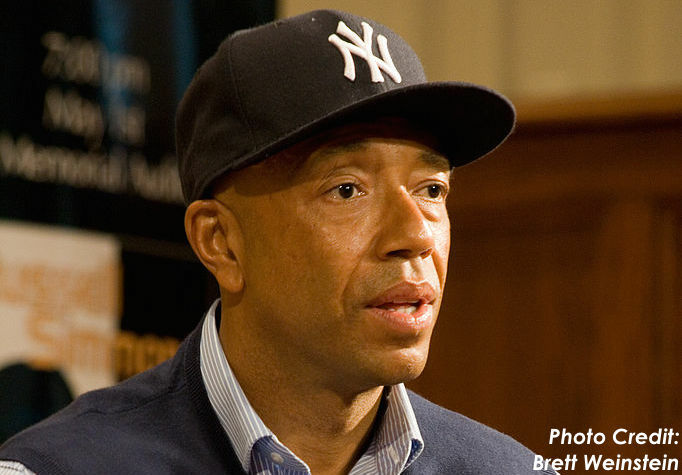 RushCard/UniRush, a financial services company and one of the first providers of prepaid debit cards, was founded in 2003 by Russell Simmons, one of the co-founders of Def Jam Recordings and numerous other business ventures. By 2011, on the strength of claims that the card would financially empower its customers and promote financial literacy, UniRush had amassed a reported 1.5 million customers. UniRush’s success has not been without its issues already. Even before this most recent problem, RushCard has come under fire for its high fees, bad customer service, and predatory marketing strategies. The European project was born in the ashes of World War II and its own massive refugee crisis. Guest Post by Etienne Borocco of France. On August 28, 2015, 71 corpses were found in a truck at the Austrian border. They were refugees, mainly from Syria. Days later, after the latest ship full of refugees sank in the Mediterranean, images seen worldwide showed the drowned victims, including a small child. All were trying to escape a horrific war, which has reached a death toll greater than 200,000 casualties after a 4-year conflict. All these refugees are qualified to a granted asylum because the situation is terrible in their home country. However, they cannot apply to asylum in a European embassy. They must first travel illegally to apply. This trip is dangerous and creates a big opportunity for unscrupulous human traffickers. The latter can be grateful to the European countries for their flourishing business. The situation on the European side results from an absence of agreement for a common policy to host refugees. Moreover, the Dublin convention has serious pitfalls. The first Member State where fingerprints are stored or an asylum claim is lodged is responsible for a person’s asylum claim. The countries at the border of the EU are then overwhelmed. 160,000 refugees landed in Greece between January and July 2015, to say nothing of those who came in the previous two years. This figure alone is already comparable to the Irish exodus during the Great Famine in 1847. In that era, 215,000 Irish immigrants fled to the United States. Recently, Germany decided to not enforce the Dublin regulation anymore. The German government decided to grant asylum to all the Syrian refugees regardless of which country of the Dublin-regulation area they landed in first . On the other hand, Hungary has recently built a wall at the border with Serbia, and Austria seeks to control its borders more strictly. The whole European project is threatened because governments are tempted to act alone without coordination. The irony is the European project was born from the ashes of the Second World War. During this period, a lot of refugees fled conflicts. French citizens crossed the borders with Spain, where they were illegal aliens. Francoist Spain used to deport them and a great part was directly delivered to Nazi Germany. They were promised to a certain death. However, those who managed join the Free Forces participated to the French liberation. In the Netherlands, the “England-Voyagers” (Engelandvaarders) took makeshift boats to cross the North Sea to England. Some famous Dutch resistance members like Erik Hazelhoff Roelfzema were part of the “England-Voyagers”. London also hosted the central command of the French Resistance directed by General de Gaulle, as well as several other governments-in-exile of Nazi-occupied territories. Several other countries hosted significant numbers of refugees from Axis countries during the war. Many wartime refugees risked and lost their lives crossing borders or the Mediterranean to flee. When the borders were being redrawn after the Axis surrender in 1945, millions more people were also displaced. 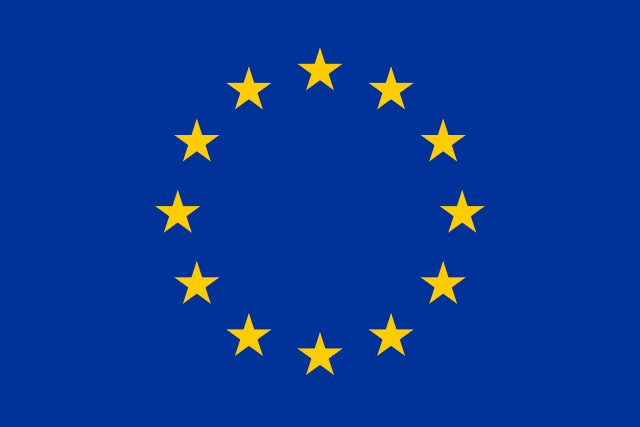 It was in this context that the European project began. Guest post by Chris Chinn. You can follow him on Twitter @yeloson. It would be great to have a conspiracy version of Fivethirtyeight. It’d be a political prediction site, but all of the guesses would be on whether the aliens, the Freemasons, or the government mind control rays were polling better state by state to decide upcoming elections. Graphic by Bill Humphrey for Arsenal For Democracy. Click to enlarge. An interview with Tanya D, the creator of the hashtag, by the 8-Bit Animal. It’s no secret that modern gaming has been littered with games starring the same White male protagonist. Sure, they have different names, faces and voices, but they are typically the exact same character. Gamers who aren’t White men have long voiced annoyance at the lack of diversity in gaming going back years, but it took Ubisoft’s seemingly gleeful omission of a female protagonist in the latest Assassin’s Creed title to bring this discussion to the forefront. Recently, the hashtag #INeedDiverseGames created by Twitter user @cypheroftyr (Tanya D.) with the intent of shedding light on the lack on the lack of diversity surrounding in game characters. As a longtime gamer myself, I can’t think of very many major games released over the last console generation that aren’t starring a White male protagonist, so this discussion is long overdue. Clearly, a lot of other people on Twitter shared the same opinion. Tanya, a gamer for some 20 years, has seen the same general lack of diversity in gaming over the years that a lot of us have, but she spoke out about it. The hashtag gained steam and continues to generate traffic, as it has been a seemingly perfect foil to the disjointed hatespeak disguised as a rally for ethics reforms in gaming journalism that was sparked by #GamerGate. Unlike the hostility coming from #GamerGate supporters, those involved in #INeedDiverseGames have been relatively civil, even when expressing dissatisfaction towards the industry. Has Tanya seen much negativity directed towards her or the hashtag? In most instances, titles developed by people of color aren’t often funded or distributed by major publishers. An example of this is Never Alone, a game developed and financed by a Native American community in Alaska.